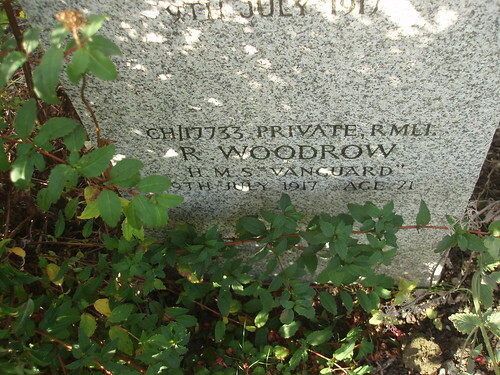 Son of Ellen Woodrow, of 12, Morden St., Rochester, Kent, and the late Albert Woodrow. Service: Royal Marine Light Infantry, H.M.S. "Vanguard." Location of grave: F. 135A. 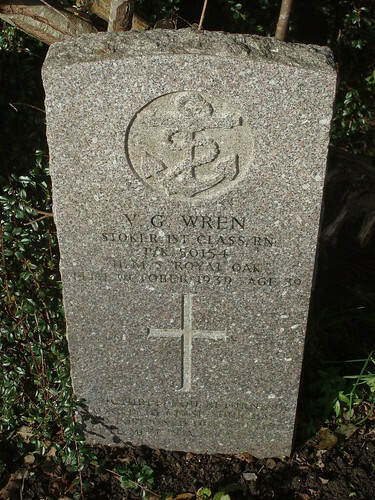 Stoker 1st Class WREN, VICTOR G.
Son of Henry and Mary Wren, of Portland, Dorsetshire; husband of Violet A. Wren, of Portland. 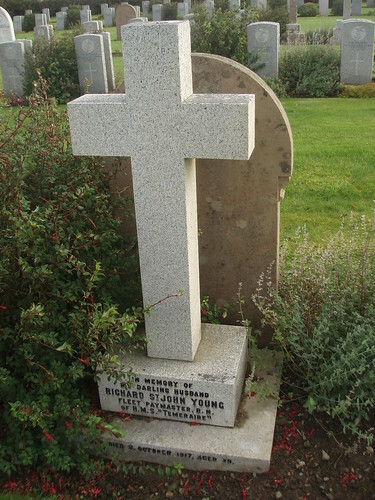 Location of grave: Plot P. Row 1. Grave 13. 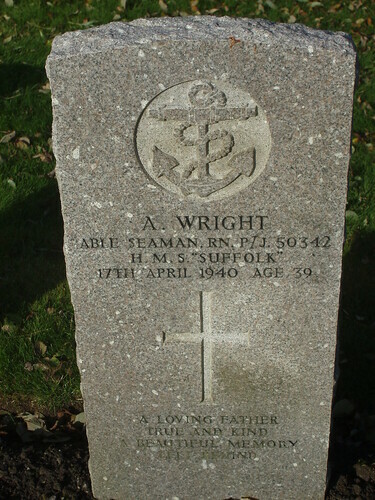 Son of Alfred and Florence Wright; husband of Lily Wright, of Leicester. Location of grave: Plot P. Row 2. Grave 24. 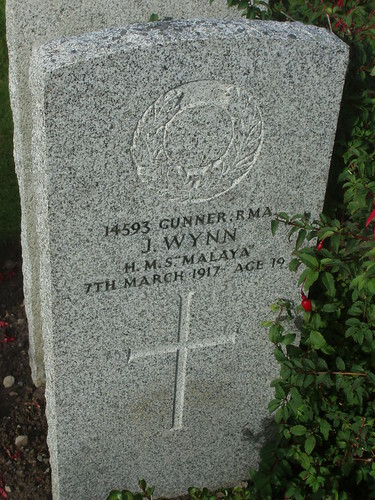 Service: Royal Navy, H.M.S. "Blonde." 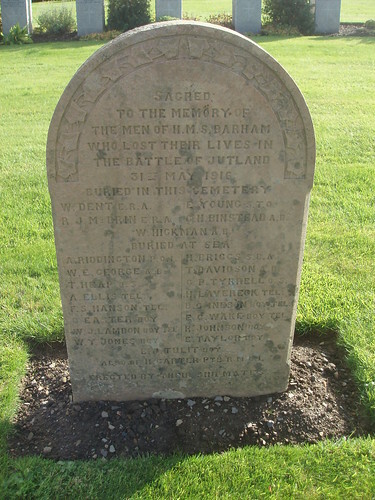 Location of grave: B. 30. 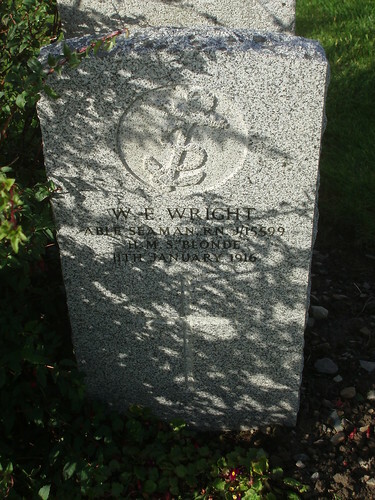 Petty Officer Steward WRIGHT, WILLIAM F.
Son of John Thomas Wright and Charlotte Wright; husband of Jenny Wright, of Menai Bridge, Anglesey. 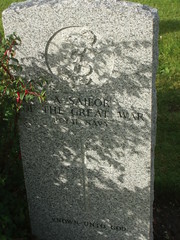 Location of grave: Plot P. Row 4. Grave 25. 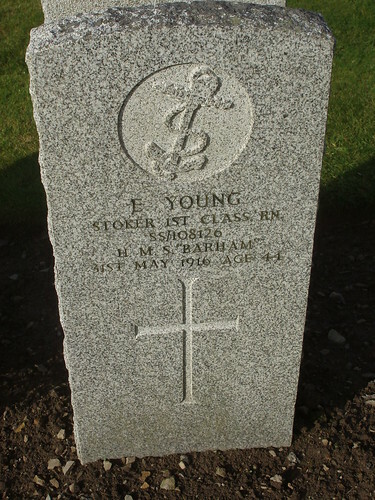 Location of grave: F. 61. 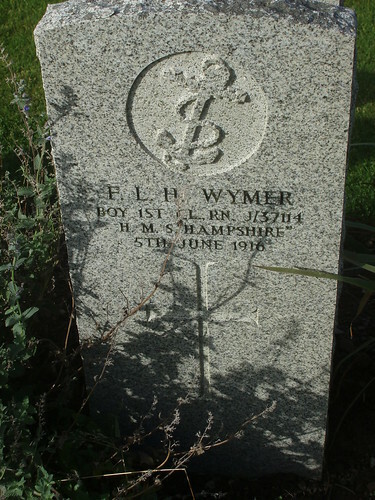 Son of Caroline Wynn, of 3, Newbury St., Kintbury, Berks, and the late James Wynn. Born at South Warnborough, Hants. 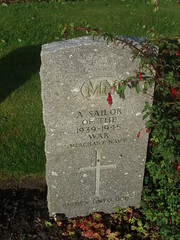 Service: Royal Marine Artillery, H.M.S. "Malaya." 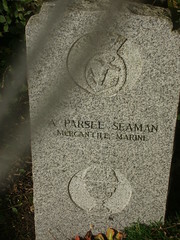 Location of grave: B. 61. 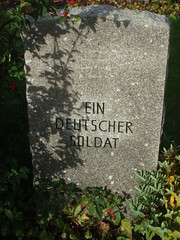 Location of grave: F. 6. Son of John and Annie Young, of 69, Main St., Carlton, Notts. 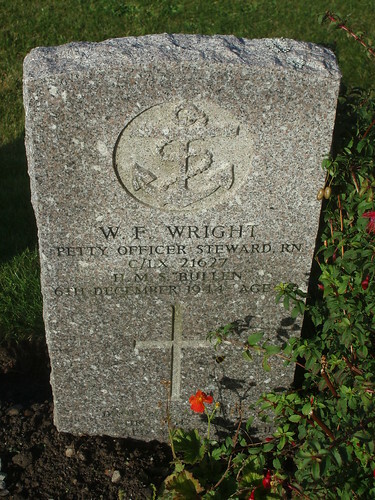 Service: Royal Navy, H.M.S. "Barham." Location of grave: B. 102. 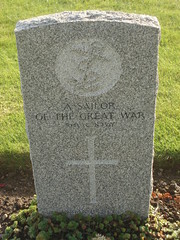 Service: Royal Naval Reserve, H.M.S. "Malaya." 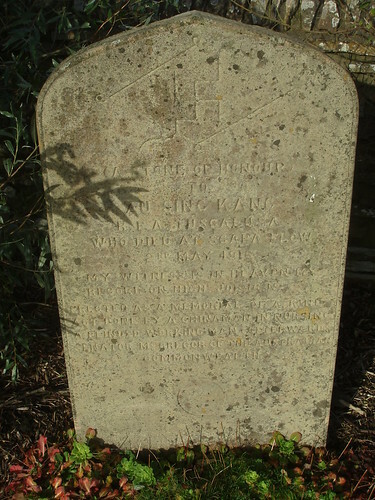 Location of grave: B. 6. 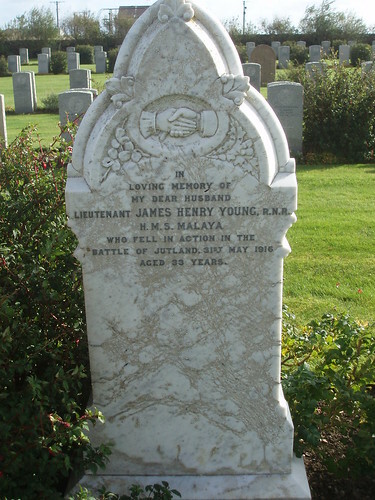 Son of John Owen Young and Anna Catherine Young, of Portarlington, Queen's Co.; husband of Emily Deane Young, of Arrigadeen, Rushbrooke, Co. Cork. 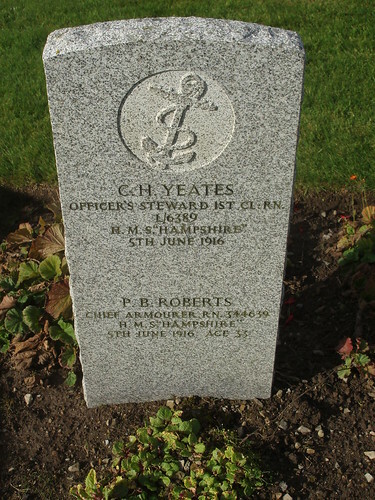 Service: Royal Navy, H.M.S. "Temeraire." 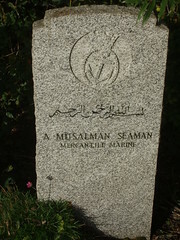 Location of grave: B. 12.